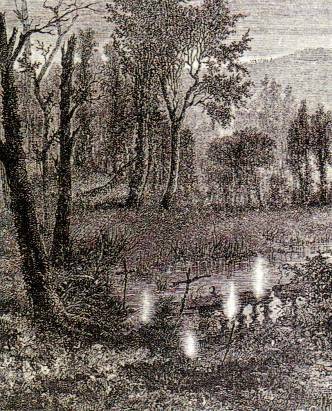 In folklore, ghost lights were strange lights seen over swamps or bogs. But we’re more sophisticated today. Aren’t we? 2017 EarthSky Lunar Calendar pre-sale…is happening NOW! Ghost lights used to be called will-o-the-wisps. They were a weird glow over swamps or bogs. 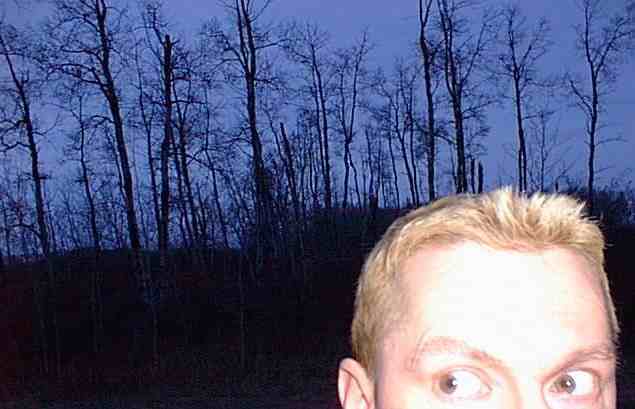 Nowadays, people report strange lights in the sky in all sorts of places. Some are more famous than others. The ghost lights closest to me are in the desert-like Davis Mountains near Marfa, Texas, but you can also see them in the Brown Mountains of North Carolina, and other places in North America. There are modern, very ordinary explanations for these lights. Yet people still love to try to spot them. Follow the links below to some samples of North American ghost lights. The St. Louis Light in Saskatchewan, Canada. Ghost lights in history. In English folklore, a will-o’-the-wisp was thought to be a distantly viewed lantern or torch carried by a fairy or other mischievous spirit. These ghostly lights were said to recede if travelers approached them, so that the bone-tired wayfarers were drawn farther and farther into the bog. Our modern-day pumpkin carving at Halloween is associated with this old story and tradition. Will-o-the-wisp and jack-o-lantern meant the same thing in old England. Turnip lanterns, sometimes with faces carved into them, were made on the festival of Samhain, which took place around the same time as our Halloween, a time when fairies and spirits were said to inhabit the night. Remember, Halloween comes at a time of year when the nights are growing longer. We in the electric light era don’t fully appreciate the primal fear to be had from this daily increasing darkness. 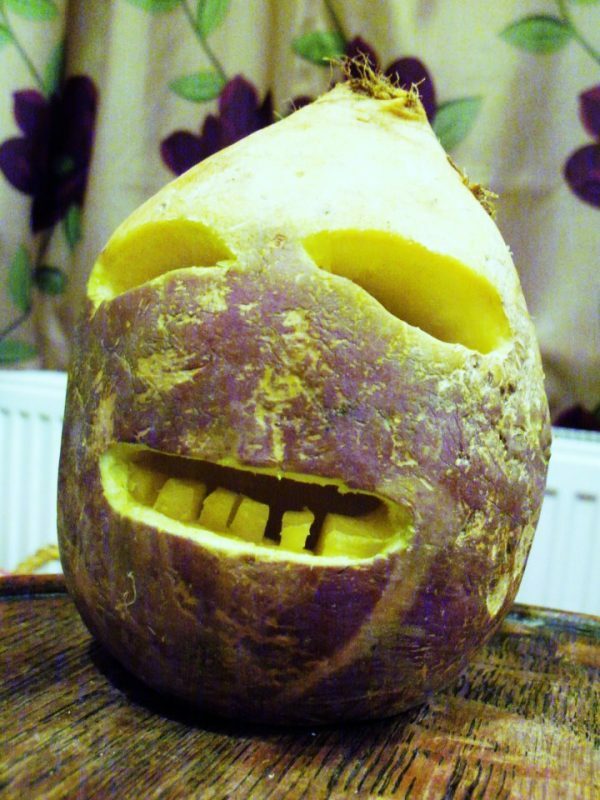 It’s said that turnip lanterns were used to light one’s way outdoors on a Samhain night. The lantern might have represented the spirits and otherworldly beings, as in I’m with you guys. Of course, we’re so much more sophisticated than that today. Aren’t we? The Marfa lights. Well, we are, plus we have cars. So nowadays people travel long distances to seek out ghostly lights in the sky. 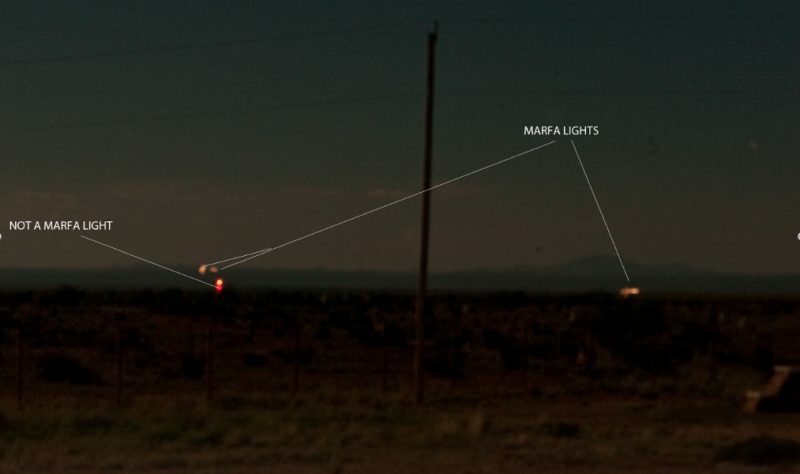 A famous example in my area is the Marfa Lights. They’ve been observed in the sky near the tiny and remote West Texas town of Marfa for many years. 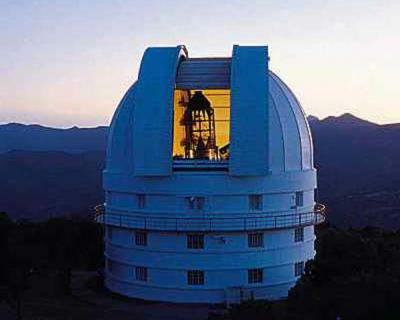 I saw them on my first visit to the University of Texas McDonald Observatory in the late 1970s, while standing outside at night, on a catwalk of one of the large telescope domes. An astronomer pointed them out: two unmoving lights, a brighter one and a fainter one above the horizon, in a place where no stars should be. 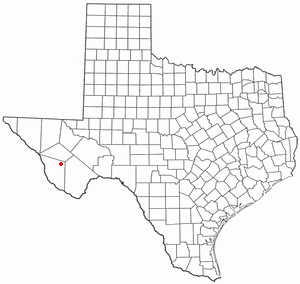 The red dot indicates the location of Marfa, Texas. It’s remote! Reports from some other eye-witnesses are much more elaborate than my sighting. Supposedly the lights are “brightly glowing” – “basketball-sized spheres” – “shining in many different colors” – “hovering at about shoulder height.” Or sometimes, people say, they shoot around rapidly in any direction. Or they appear in pairs or groups. Or they may divide into pairs or merge, disappear, reappear, and sometimes move in patterns that seem regular. The town of Marfa loves them, and has placed highway markers (see photo top of post) indicating where on-lookers can pull over to watch for the lights. McDonald Observatory Otto Struve Telescope, completed in 1938. I saw my first Marfa lights from the catwalk of this telescope dome, which, by the way, is a not un-creepy place to be alone at 3 a.m. No offense, Otto. Papiblogger.com had a nice account of his family’s viewing of the Marfa lights. After several driving delays and a huge gas shortage scare we finally arrived in Marfa past dinner time at night … From our kids’ perspective, Marfa’s big draw, of course, are the Mystery Lights, a Texas version of Alaska’s aurora borealis. To make things interesting I brought a professional digital camera and a tripod and took time-lapse images of the Marfa Lights from the observation deck where everyone normally sees them. If you look at my un-doctored photos [see below], you will notice a red light surrounded by other brighter lights. All appear to be around the same size but what’s interesting is that the white lights surrounding the red one clearly have some movement. For the record, I don’t believe there’s anything magical or alien-related to the lights but I do find them interesting, especially knowing that many experts and some documentaries have studied them and no one knows what to say they are. Marfa lights – or not – from papiblogger.com. Where to go to try to see the Marfa Lights. They’re said to be seen, typically, south of U.S. Route 90 and east of U.S. Route 67, five to 15 miles southeast of Marfa. Best thing to do is go to Marfa, Texas and ask … well, anyone. Marfa is only about an 8-hour drive from the city of Austin, if you don’t stop for lunch. And if you do stop for lunch, I recommend La Familia in Junction, Texas. Have fun! Well, apparently, the Marfa Lights have not been around all that long, after all. The earliest accounts come from a rancher named Robert Ellison in 1883. However, upon closer inspection, it appears that there is no actual record that Robert Ellison ever saw such a thing. There are reports from his descendants that Ellison said he saw lights, but there is no written record, not even when he wrote his memoirs about his life in the region in 1937. Curious that he would leave that out. Apparently, all evidence that the lights existed prior to the arrival of automobile highways in the region is purely anecdotal. 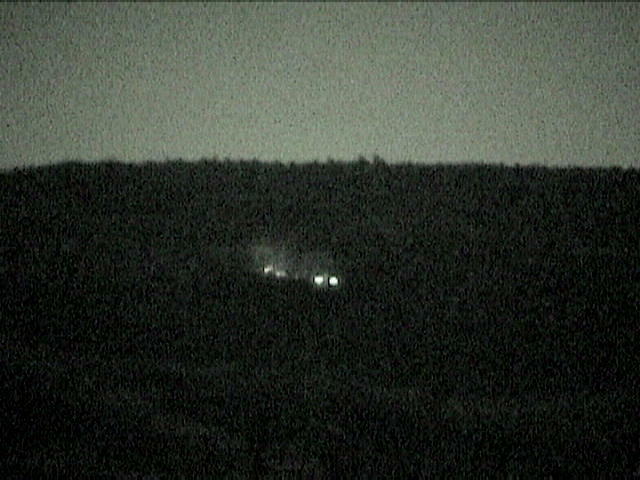 Brown Mountain Lights via spookyplaces.us. The Brown Mountain Lights have their own road sign, too. Photo via spookyplaces.us. … mysterious lights seen just above the horizon every night. Skeptic’s explanation for Brown Mountain Lights. A USGS employee, D.B. Stewart, later studied the area and said the fisherman had seen train lights. 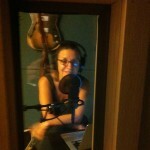 Brian Dunning of the podcast Skeptoid agrees. On the other hand, in 2016, a scientist and an engineer – Daniel Caton and R. Lee Hawkins – both at Appalachian State University announced that they had video evidence of the Brown Mountain Lights. A report on their work is below. Try the overlooks at mile posts 310 (Brown Mountain Light overlook) and 301 (Green Mountain overlook) and from the Brown Mountain Overlook on North Carolina Highway 181 between Morganton, North Carolina and Linville, North Carolina. Additionally, good sightings of the [Brown Mountain] Lights have been reported from the top of Table Rock, outside of Morganton, North Carolina. One of the best vantage points, Wisemans View, is about 4 miles from Linville Falls, North Carolina. The best time of year to see them is reportedly September through early November. Phil Campagna has a good description of his experience seeing the St. Louis Light, in his blog. The St. Louis Light. Apparently, there used to be train tracks near the small town of St. Louis, in Saskatchewan, Canada. Legends has it that they were taken out after a passenger train derailed. Now it’s said that a ghostly railway man, holding a lantern, haunts the tracks, looking for a baby that died in the accident. Its said the light appears in the distance along the track bed but has no easily identifiable source. Skeptic’s explanation for St. Louis Light. Alysha and Shannon were in the 12th grade, living in northern Saskatchewan, when they won science fair gold medals for investigating and eventually duplicating the St. Louis Light phenomenon. Their project suggested that the light is caused by the diffraction of distant vehicle lights. Read about their science project here. By the way, before beginning this project, Shannon told VirtualSaskatchewan that she believes in the paranormal, while Alysha is the skeptical type. The project apparently got started when Shannon told Alysha how she and a group of friends “freaked out” when they spotted the ghost train during a road trip to St. Louis, and Alysha scoffed. Where to go to see the St. Louis Light. St. Louis is south of Prince Albert, Saskatchewan. The light sightings near the old railroad tracks happen about five miles north of St. Louis. By all accounts, the gravel road that leads to the place is unmarked and hard to find. Best bet: Go to St. Louis, and ask someone. So there you have it, on this Halloween 2016. Ghost lights! Believe in them … if you dare.